Adorable baby girls special occasion dress, perfect for Eid, Weddings or any special occasion this Spring Summer! Love this rose gold and glittery dress designed by Fendi. 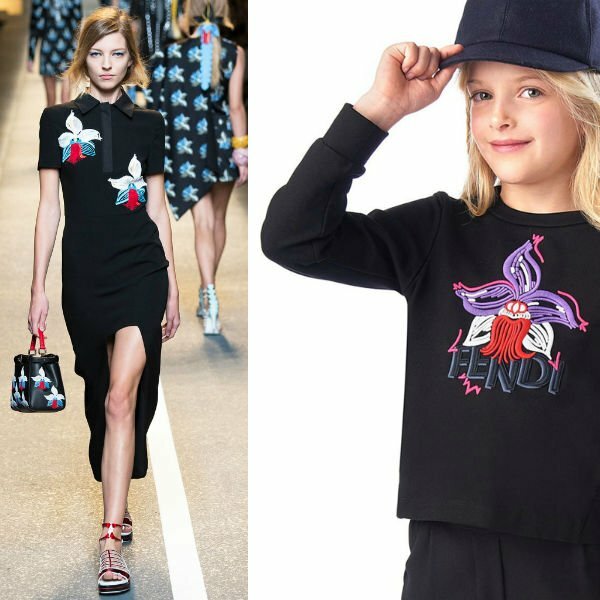 Inspired by the women’s collection, there is a floral logo appliqué at the side, with a pleated peplum hem and Peter Pan collar. 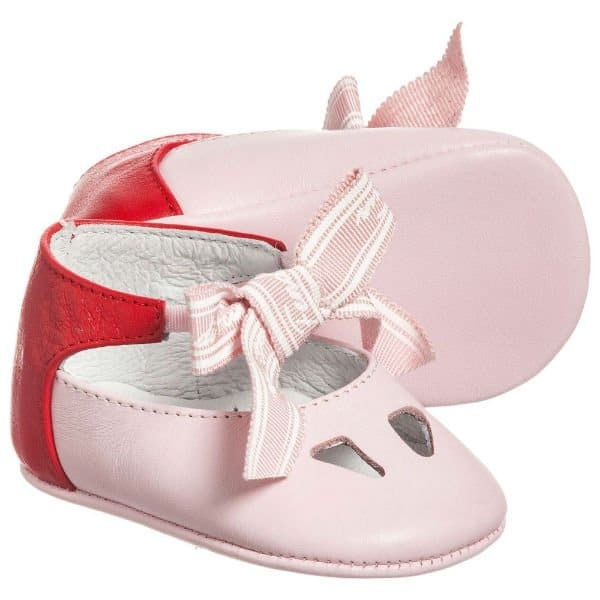 Looks perfect with these Fendi soft leather pink and red pre-walker shoes with ribbon ties and the designer’s name logo.